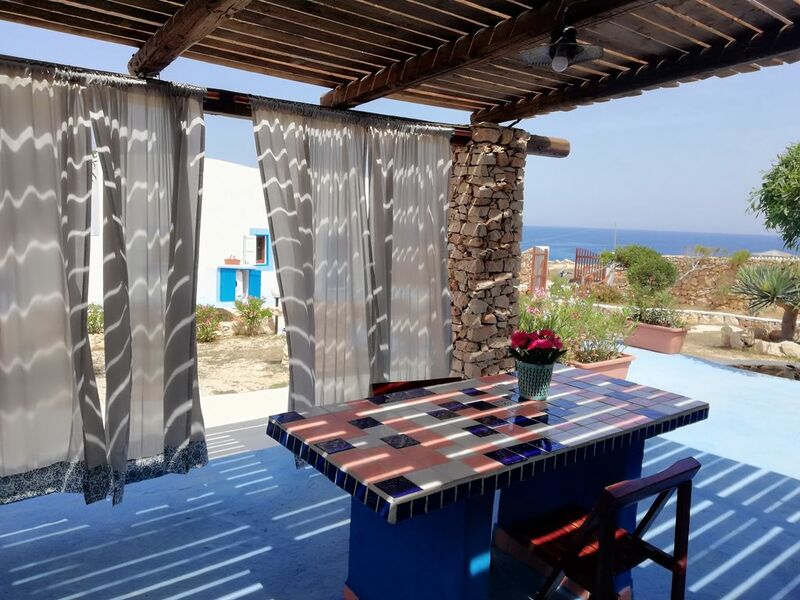 The annex of Villa Serena for two people, is located in one of the most peaceful coves of Lampedusa, in the Cala Morto cove 80 meters from the sea. It consists of a double bedroom, bathroom with shower, kitchen and veranda overlooking the sea with deck chairs and a built-in barbecue. Garden of 1000 square meters. Both the center and the airport are one and a half kilometers away, the supermarket is 500 meters away, the bus stop is 50 meters away, the port is two kilometers away. Casa ben curata e perfetta per vivere l'isola ! Casa perfetta per vivere l'isola,logisticamente a est ,comoda per raggiungere paese ,aeroporto e le principali calette raggiungibili a piedi,dotata di tutto l' occorrente per un ottimo soggiorno!